In this context 'field' represents a space with height, width, and depth, filled (or emptied) of words or pictures. The concept has a history in 20th century poetics dating back to Futurism; is related to Olson's Composition by Field, and Duncan's hermetic studies; and is the space in which a true intertextuality might be imagined. So the essay will be changing in the next few weeks as I introduce links (indicated by ) to the works of the others involved in the a l y r i c m a i l e r project and re-write parts of this essay in response to their works. The first link, though, on this subject that occurs to me is an essay by David W. Seaman called Poetic Architecture of the Avant Garde. The link between 'field' and 'architecture', given Thomas Bell's description of 'field,' is fairly clear in that both can refer to writing that is literally involved or occuring in spaces with dimensions other than the usual two of the page. I would add that an additional dimension to the field, relevant to Web art, is the software usage of the term 'architecture'. We are beginning to see literary works and sites that involve communications conduits such as live text "chat," or live telephony or video/telephony. We also are beginning to see literary works that involve other architectural components such as databases or the ability to collaborate and have the results of the collaboration saved to the server and displayed to subsequent reader/viewer/user/collaborators. More generally, I think that the terms 'field' or 'architecture' can be used somewhat literally or conceptually. The graphic at the top of this essay evokes a literal notion of architecture. If we were to speak of the architecture of the a l y r i c m a i l e r project, we could conceive of it as a visual set of nodes/essays and hyperlinks between them. But that would be a literal representation of the connections between the essays. Presumably the connections between the essays will have a strong conceptual component as well in shared and differing ideas. A recent piece I've read, titled Invisible Architecture by Barbara Guest, offers another perspective on architecture and the poem. he stir frys dawned on me when I realized it's easy to create an object, fill the object with whatever content you want (text, images, sounds, etc) and subsequently change the content however you want. The changes to objects can be triggered by mousing or clicking objects or by some other form of interactivity. This leads to an unusual view of a piece of literary Web art which I want to develop here--not just concerning the stir frys, but more widely for the future. The basic idea of DHTML (dynamic HTML) is to enable the writer to animate or change every part of the document from the background color to the text and font size and text and links to any other part of the document. Protean and responsive real time, interactive not just between the user and the text but most humanly interactive between people real time and in the time of art and imagination. After all, part of the challenge and excitement of Web art is to locate/create the human dimensions of the technology. As in Seattle Drift, the initial appearance of the stir frys is nothing special. They are plain old texts. That's important to me, to invoke that world, that tone and substance of the written word, that material, that portal. 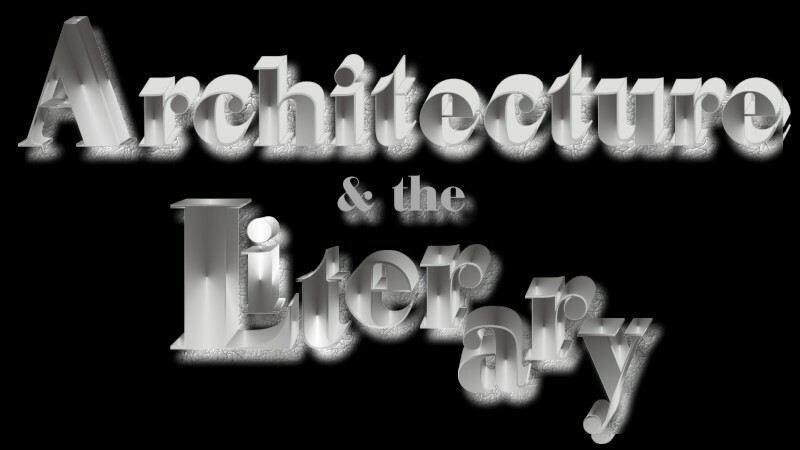 If the architecture of a text is a bit like the set of a play, then an architecture that could involve anything from animated to layered text to live televideo on 'pages' to live chat etc blurs the line between the real and the literary, dissolves the one in the other and the other in the one. yst was one of the first thoughtful and successful games to involve books with architecture. In the case of Myst, the architecture focuses on the creation of an imaginary world. But it isn't hard to see how the architecture could warp or morph the real and the imaginary, particularly when it can involve the world (not even) at the turn of a page. But art is always already threatening to become real, more real than real, at its best. The threat is usually now a promise, that's all, the world is more fully fictive just like America is cinematic--people live their lives like they're movies. The hyper real was here a long time ago. Now it's interactive on these new 'pages' that are morphing into a synthesis of all electronic and printed media. o the stir frys involve the cut up and a kind of animated, interactive text, but those dimensions seem cartoonish compared with these other notions. When I first started thinking about animated text it seemed pointless to animate the inanimate. But to animate text is to break it up, dislocate it from the printed context dramatically, from the usual notion of a text and the printed world. It's a wake up call to the new media, among other things. It unites/synthesizes the literary and other media. But one can go further into this notion of a literary work relating to architectures, architextures like a set to a play or, when not like a set, like a portal architecture between worlds and milieus, or the text is operating in objects a bit like chapters or verses or whatever--these are the typical objects or units in texts--but also like, say, poems of public art done sculpturally in public places involving passersby, big poems say, where the audience can get into them--literally get into them--the doors open, you enter, they close, and you know they will open again, but you're not sure where, skyscraperish. I live in downtown Seattle, so when I look out my window, I see these skyscrapers. The geography stretches up. And I know not what exactly is in the buildings, but this is Seattle, home to software and the Internet, so I know that they're connected to my computer via the Internet as I write this. The architecture is tied into this text and yours. Heady, heady architexture. Someone is reading this looking out from that geography wondering where it came from. It came from our imaginations. The imaginary and the real are thoroughly conjoined. The sooner we realize this, the sooner we make our dreams real, knowing no distance between the two is necessary. It's this dissolve into one another of art and life, not so much an active uniting of them as a consequence of electricity and imagination. Beyond the global village is the global imagination. Like the day I was listening to the radio and the DJ had a caller live on the show. It emerged during their talk that the woman was talking on her cell phone out on the patio of her apartment that was on the 25th floor of a building within my view. I looked out and there she was, far away but within eye shot, big and in stereo. Her voice was larger than her ocular presence. There she was in her white bathrobe. This hot connection with those whom we witness is much to be desired in a world of remote control where it is possible to push a button and kill from thousands of miles away. How will we extend our humanity to these new proportions? Surely this is crucial to the endeavors of Web art. he basic architecture of the stir frys is storied in layers of text. Like pages one underneath the other, really--like a book. But unlike a book in that each text is cut into the same number of pieces (30 or so), and when you mouse over the text, the phrase you mouse over is swapped for the corresponding phrase of the text below. And this continues, as you mouse over the phrase, until the topmost text reappears when you have reached beyond the bottom layer of texts. Also, you can see the entire, uncut sequence of layers by repeatedly clicking the colophon. For instance, as in the diagram, when you mouse over the first phrase of the topmost text (the red "A second crucial feature"),it is replaced with the first phrase from the second text (the red "The passion for certainty is") and when you mouseover again, it is replaced with the first phrase from the third text (the red "Emerson's aim"). Now this is not a complex architecture by any means. The point is that it is an architecture, a langwidgetical architexture, something of a structure but more like a stretchture or a textual strexture. Not a structure of strictures--it isn't strict at all--but it does have some stretch and morph and woof to it, and this is its charm if you see what I mean. im Rosenberg, in his essay "Inter-Field, the Acts" , speaks of such a structure, instead, as a "field." I think the central thing to me about the figure of 'the field' is its outward reaching beyond the confines of a narrower poetry. Haven't read too much of Olson about 'the field' though a bit. If I recall correctly, he developed it playfully, occasionally. No well defined program to it. Pretty open itself. Amenable to being taken wherever you want to take it. Maybe that's even part of the intent. As you can see in Jim's essay, it's possible to speak of the poetics I'm writing about 'architecture' also as a 'field,' often. Sometimes one of the figures will be more appropriate than the other. Both have some history in poetics, and both are open ended. And both reach toward conceptual and literal new space/shape/form for poetry. eb art is involved in software design, in the design of houses and buildings of words and images and sounds and conduits of communication between people in hyper real contexts. When we look at cities currently, we do note some aspects of language and image in the architecture of buildings. In the future, just as Web artists will construct works that involve fairly sophisticated software and communications architectures, so too will architects fashion buildings that have absorbed the impact these structures will have on the imagination and culture, and the buildings of the future will have a 'virtual' dimension to them (if they do not already) that will make them tower between the real and the imaginary or virtual. Just as a glass skyscraper I see in Seattle outperforms the very horizon at sunset in its intense play with light, so too will architects add language and the transformations of the virtual to the kiln of their imaginations toward buildings that are poems and langwidgetical in startling revelations of the city's text, the city's unfolding story, continuing lyric, revelation of the ongoing art in life, life in art, the poetry of the city. The text is becoming architectural, and architecture will create the textural city well beyond the garish neons of advertisement. The city should speak to us in these ways, beyond the language of advertising. For those of us who inhabit cities, we look out upon and seek our story there, seek the voice and spirit of the city also in a vision of the fusion of art and life, seek the poetry of the city visually as well as in events and meditation and books and our conversations and doings. As Web artists, we will participate in and further the fusion of the arts and sciences toward, let us hope, a mindfulness and joy in living that goes beyond blurring the line between the real and the imaginary toward truly dreaming our visions real. This is the magic of art, is it not? To dream the beautiful and true with intensity and devotion so that it becomes real, whether this is by way of a book or other realization of the dream; whether it has the substance of architecture or the different but no less real substance of poetry realized in the global citymind of the Web.